After working hard for the past four years or more, you’ve come away from your college experience with a diploma and knowledge of your field. However, you may also have found yourself without a job in your major. If so, you’re not alone. According to the U.S. Department of Education, the unemployment rate for new college graduates ages 20 to 24 was 6.2% in September 2012. While this statistic is less than ideal, keep in mind that unemployment for those without the benefit of college experience is 18.5%. Things are also looking up for the future — according to the Job Outlook 2013 survey by the National Association of Colleges and Employers (NACE), employers anticipate hiring 13% more students from the upcoming class of 2013 than were hired in 2012. In the meantime, you may be surprised to learn that there are several ways your alma mater can help you improve your job prospects right now. Resources such as Career Services, Alumni Affairs, and Academic Advising have staff specifically trained to provide students with the information they need to navigate their academic journies — including getting that first job. Given that these departments are underutilized by current students, it’s understandable if you haven’t even considered going back to your school for help in your job search. But as a former academic counselor at a community college, I can tell you that you can and should take advantage of these resources. Let’s take a look at the individual departments that can assist new graduates in improving their career situations. The most obvious campus resource to go to for job advice is your career center. To start, make an appointment with Career Services to take a look at your resume and cover letter. Honing these two documents just a bit can help to get you through a potential employer’s door. What you may not be aware of, however, is that these offices offer so much more than resume critiques, and they can truly benefit new grads. For instance, if you’re having trouble getting hired, it may be due to difficulties in the interviewing process. A career counselor can take you through mock interviews, pointing out areas in which you can improve and teaching you ways to really stand out to the interviewer. College and university career centers also often maintain databases of local and out-of-state employers who are looking to hire new graduates. Ask your school’s career adviser if such a database is available. You can add your resume for employers to search utilizing certain keywords, making you easy to find. You can also peruse employer listings to find a possible match for your talents and skills. Many institutions also allow alumni to attend sponsored job fairs and workshops for free. The next logical resource to look into is your school’s Office of Alumni Affairs. The staff here can often help connect you with alumni who are currently working in your field. Connecting with someone in your intended profession can be invaluable to gaining insight into your profession and its specific job market. It’s one of the best networking strategies out there. Mentoring programs are commonly seen at alumni offices across the country. These programs match recent graduates with alumni mentors who are working in a desired profession in order to provide guidance, answer questions, and give encouragement to new professionals. While the purpose of mentors is not specifically to help students find jobs, their knowledge and insight can give you the advantage you’re looking for to stand out from the crowd. Many alumni offices are beginning to develop online communities as a way for alumni to connect. There are also in-person networking events and social activities sponsored by university alumni departments. An all-too-often untapped resource is the staff of your academic department. Did you have a favorite professor or academic adviser? Make an appointment to visit him or her. 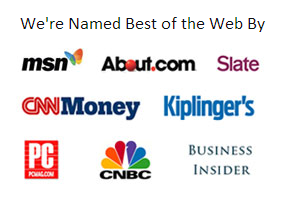 As a student, these professionals were your go-to source. They don’t stop helping their students upon graduation. Department staff can offer insider advice into your industry and may be able to provide you with a potential employer contact. Some departments even have an informal network of alumni with which to get involved. The majority of today’s students receive financial assistance of some kind. Many student loan programs require students to begin repayment six months after graduation. This can cause anxiety and add a sense of urgency if you are currently unemployed or working a low-paying job. A call or visit to financial aid can help. There are ways to defer or postpone repayment of your financial aid. You may even be able to set up income-sensitive payments. Navigating the repayment process can be tricky. Seeking the advice of qualified financial aid professionals or your loan servicer will help you take advantage of the option that is the best fit for your current situation. Because the process can be so confusing, don’t hesitate to ask lots of questions. You may even wish to speak with the director of the department to be sure you are receiving the most accurate information and that you have a clear understanding of the details. There’s no reason to feel intimidated. The staff is there to help you. Be persistent and explain the importance of speaking with someone who can explain your options to you in a relatable and comprehensive way. Depending on your field of study, the current job market, and your ability or willingness to relocate, pursuing a graduate degree may be something to consider. Don’t enroll in a graduate program as a way of escaping the pressures of looming student loans or financial obligations, though. Students have been known to take this step only compounding their financial troubles. However, for some students, it may make sense to pursue further education. The graduate studies personnel, in combination with career services, can give you information on the possibilities. You’ll want to ask about the kinds of jobs available to professionals with advanced degrees in your industry, as well as the various concentrations offered. It’s possible to construct a graduate program that very specifically meets your desired job outcomes. Many graduate programs combine academic study with real world internships, giving students an edge upon graduation. Enrolling in an advanced degree program for a couple of years may work to your advantage by allowing you to further your education and graduate into a more friendly economy. This is obviously a risk. No one can guarantee that things will be better jobwise in two years, but going to grad school may be an option worth considering, depending on your profession. As you can see, there are a number of ways to get help from your alma mater. Don’t let yourself get discouraged. Taking the proactive step to reach out and find assistance can be very empowering and can alleviate much of your worry and stress. By approaching the professionals who were there for you as a student, you’ll likely come away armed with the information you need to improve you current situation.